If you are looking for a place where you could spend your vacation with your family and make wonderful moments together, include Riga, Latvia in your list of priorities. Why? It is because this is one of the most renowned cities in the world which could offer you all of the things that you have been looking for. A city that is abundant in wonderful historical places, majestic buildings and breath-taking sceneries is none other than Riga, Latvia. This city is considered as one of the most precious gems of Baltic. 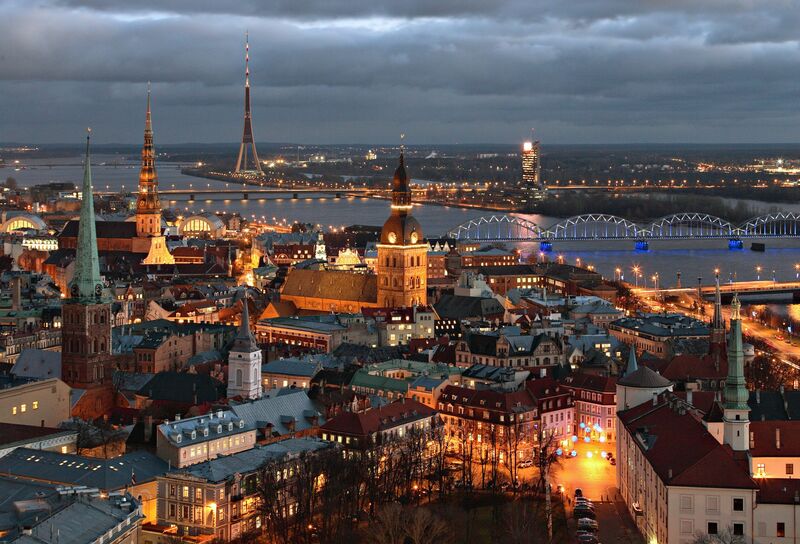 It is the capital and the largest city of Latvia and can be found in the entrance of Daugava. This has been one of the most eminent cities for it offers many exceptional views and historical spots that travelers love to visit. Some of the most incredible spots in Riga which will surely allure you and make you wish to live in the city are cited below. This is one of the prime tourist attractions in Riga. This is the largest square in the city which is located in the heart of the Old Riga. The building was built around 1930s and on its edge is a majestic Dome Cathedral which was built in 1211. From then on, it was rebuilt and restored until the present day. Now, reflects the magnificent mixtures of Romanesque, Gothic and Baroque Architectural designs. If you want to witness a variety of entertaining shows, day and night, you can just see and visit Līvu Square. This was established after the traumatic World War II in the 20th century. This has kept the compelling residential buildings that were built at around 18th century. You can also find the Large and the Small Guild that were built in the 18th century. These are very interesting as both of these guilds have fascinating interior designs. This is one of the well-known historical spots in Riga because this church was built in 1209 using timber, but later restored using stone. It is a magnificent church with red bricks and offers a lift in spire inside it. This lift has provided many guests with wonderful sceneries of the pure red roofs of the Old Riva and the magnificent river of Daugava. This is one of the principal landmarks of Riga which stands on the main street of Brivebas Ieal. This is something that travelers behold to see because of its sparkling and dazzling three stars which can captivate you even from afar. The castle that is considered as one of the best assets of Riga which is located in the Old Town is now the place where the president of the country works. One of the best, biggest and oldest markets that can be found in Europe is the Central Market of Riga. You can found five large pavilions that are situated in the Zeppellin sheds. Here, you can buy everything you want –crops, foods, clothing and fresh flowers. Undeniably, Riga, Latvia is more than its history for it is a place that speaks of the beauty of life. You will surely have a great and grand vacation here. Visit Riga now and be enchanted by the intoxicating beauty and charm that it offers.